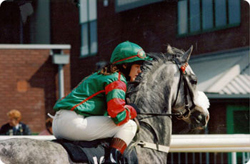 The Inner Picture is owned and run by Clare Ellam who has had an extensive involvement with horses from an early age. Her experience is broad and covers a variety of disciplines including Racing, both Thoroughbred and Arab, as a trainer and Jockey. In the early stages of her career, Clare developed a strong interest in the locomotive of the horse and realised that to get the best possible results the horses had to be in peak physical condition, both mentally and physically. This interest was furthered with additional research into blood circulation, equine massage and thermal imaging. Having worked on a yard that specialised in rehabilitation for racehorses, and horses that were not performing to their optimum level, Clare realised that thermal imaging provided an excellent way to identify heat anomalies within the horse’s anatomy, areas that often had symptoms but showed no visible sign of injury. Coupled with her knowledge of blood circulation, the infrared images provided a useful tool that signified areas where the blood flow was poor, or the area inflamed, usually indicating a problem requiring treatment. Clare has now taken this interest further and set up her own company, “The Inner Picture” and has been successfully carrying out thermal imaging inspections since 2004, with very many satisfied customers. Her objective is to work closely with both performance and individually owned horses that are experiencing problems, and provide the most appropriate treatment to restore the horse back to optimum performance. 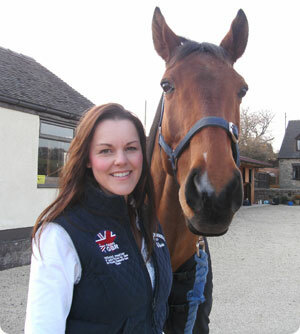 Clare is very happy to work with the owners vet or farrier where appropriate.